7 days 9 hours 31 min 32 sec remaining in the April competition. 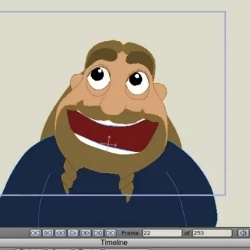 Studio Pro 7 and animate them using point level animation. A great way to add stretch and squash to your characters. If you find this explanation helpful then please comment so that I know to make more. I could also make some more detailed tutorials.